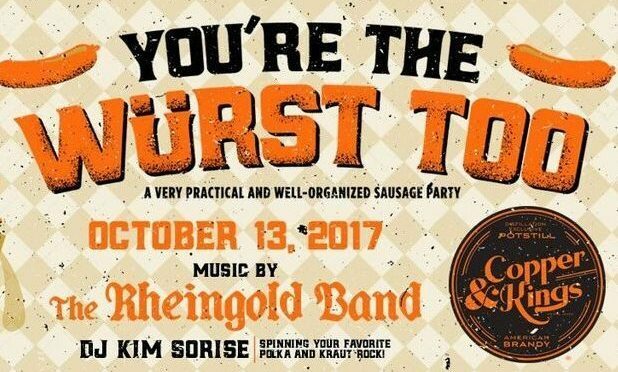 Copper & Kings celebrates German flavors with their second “You’re The Wurst” party tonight, Friday, Oct. 13 from 7 p.m. to midnight. The event will be outside on the expansive terrace at Copper & Kings Distillery, 1121 E. Washington St. in Butchertown. 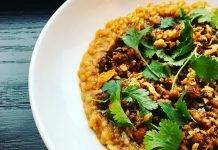 The Oktoberfest-inspired event will feature live music by The Rheingold Band, handmade sausages, beer and brandy cocktails. Among the drinks to be featured is an event-exclusive brandy barrel-aged beer brewed by Monnik Beer Co. Before and after the band, Kim Sorise will be spinning your favorite Polka and Kraut rock. Admission is $30, which will include a full plate of two handmade sausages, sauerkraut balls, Brussels sprout salad, German potato salad, and one drink. Attendees must be at least 21 years of age. For more information, go to copperandkings.com/events.